To say Russ is an outdoorsman is a bit of an understatement. 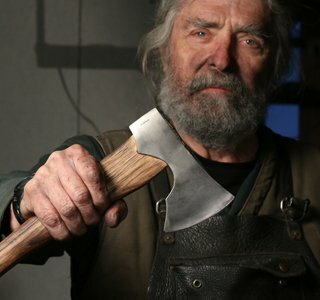 A professional fishing and hunting guide, he started making knives when one of his clients brought him a custom knife and dressed an entire moose—without sharpening it. Since then he’s made it his duty to build the kind of tools only he would use. It just so happens his Bear Claw’s™, and Hoist’N Lok®, are the kinds other hunters use as well.